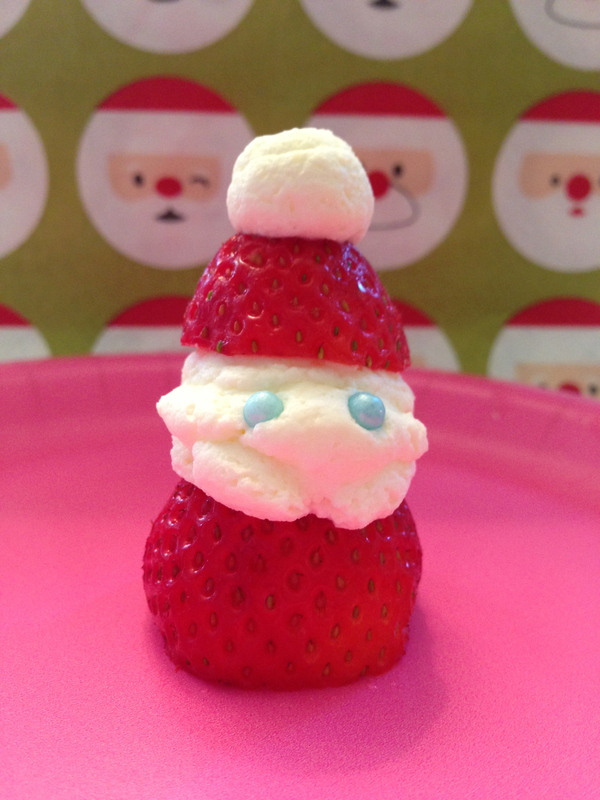 strawberry santa – a quick holiday treat idea | what is clara eating today? Posted in nut-free, simple, snacks, something fun!, special day? what kind of “sprinkles” are those? Are they something special?